Members of the House Judiciary and Oversight committees conducted the interviews in an unclassified setting, with agency counsel present to ensure that classified information didn’t enter into the unclassified setting. The transcripts of the interviews haven’t been publicly released, but were obtained for this article. Baker served as the FBI’s general counsel when the bureau investigated the Trump campaign, and also Hillary Clinton’s use of an unauthorized private email server. During two days of testimony on Oct. 3 and Oct. 18, he told lawmakers that he believed even toward the end of the Clinton investigation that she should have been charged over her “alarming, appalling” mishandling of classified information. As of October 2018, almost two years after the Clinton probe concluded, Baker still believed that the conduct of the former secretary of state and her associates was “appalling,” with regard to the handling of classified information. As general counsel, Baker advised senior FBI leaders on the legal aspects of key investigations and served as the liaison with the Department of Justice (DOJ). In testimony, he detailed a series of unusual steps he took in the Trump–Russia investigation, including serving as the conduit between Perkins Coie—the firm working for the Clinton 2016 presidential campaign and the Democratic National Committee (DNC)—and the FBI. 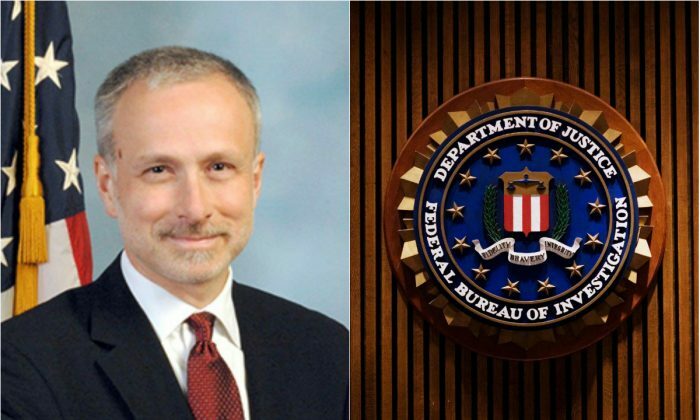 Baker left his position as general counsel in early January 2018, and resigned from the FBI in early May 2018. Baker testified that it was Michael Sussmann, a partner at Perkins Coie, who shared with him information that detailed alleged communications between servers in Trump Tower and servers located in Russia at Alfa Bank—an allegation that eventually was debunked. Sussmann was also the lawyer who spearheaded the handling of the alleged hack of the DNC servers. Baker admitted that it was highly unusual to interact with an outside counsel. Baker had at least three meetings with Sussmann—the first in person and the following two by phone. During the subsequent meetings, Baker discovered that Sussmann was speaking to the media regarding the same information he shared with Baker. Baker admitted during his testimony that he knew Sussmann had professional involvement with the DNC. Baker acknowledged that he soon discovered that Sussmann was also speaking to The New York Times regarding that same information. The FBI later contacted The New York Times and asked the newspaper to hold off on publishing while the bureau investigated the matter. The information that Sussmann passed to Baker also appeared in the so-called Steele dossier, in a memo dated Sept. 14, 2016. Notably, Sussmann met with Baker five days later, on Sept. 19, 2016. Baker had initially testified he believed the meeting took place sometime before the election. Lawmakers later provided a specific date. The server and Alfa Bank were investigated by the FBI, and were also the subject of a journalistic investigation by The New York Times. Nothing was found. Baker told investigators that he personally reviewed portions of the Page FISA application, adding that this wasn’t something he would usually get involved in. He also admitted that he didn’t review the Woods file, which provides underlying documentation for the accuracy of facts represented in the FISA application. DOJ official Bruce Ohr, who was a key conduit between Steele and the FBI, previously testified to the joint committee that he had informed the bureau of Steele’s anti-Trump bias, and that the dossier was tied to the Clinton campaign and the DNC. Neither fact appeared in the final FISA application before it was approved by the Foreign Intelligence Surveillance Court. Strzok and Page exchanged dozens of text messages expressing bias against Trump and support for Clinton, while playing key roles on the investigations related to both candidates. The discovery of the text messages led to the removal of Strzok from the Russia investigation by special counsel Robert Mueller. Baker said that, despite an ongoing investigation by the DOJ inspector general, he “consulted with other folks” at the FBI to put together a team to do a review the text messages. The House Judiciary and Oversight committees—which interviewed nearly two dozen witnesses—concluded in December last year that the DOJ under President Barack Obama had treated Trump and Clinton unequally by affording Clinton and her associates extraordinary accommodations, while potentially abusing surveillance powers to investigate Trump’s associates. Correction: A previous version of this article incorrectly stated Baker thought his meeting with Michael Sussmann took place after the FISA application on Carter Page was approved. Baker in his testimony said the meeting took place sometime before the election. The Epoch Times regrets the error.